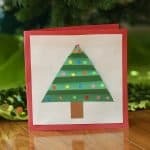 One of our favorite Christmas crafts for kids is making homemade Christmas ornaments. 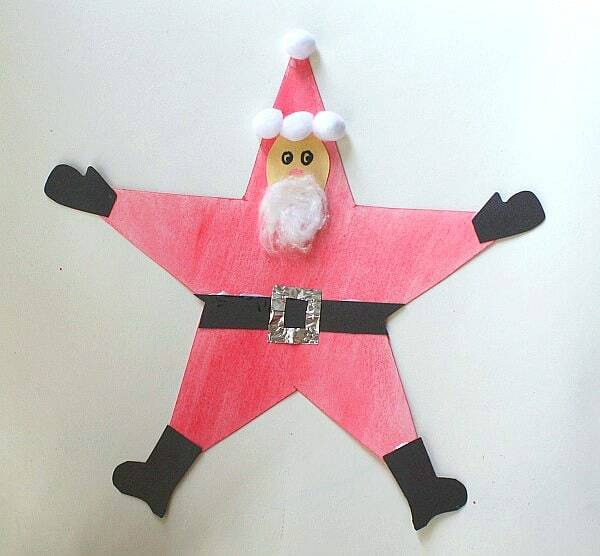 This Santa star ornament is super easy to make and requires just a few crafting materials. 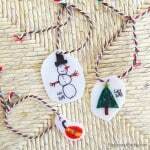 My most memorable Christmas crafts made by my kids are always homemade Christmas ornaments. There’s just something so special about hanging them up on the Christmas tree year after year. 1. 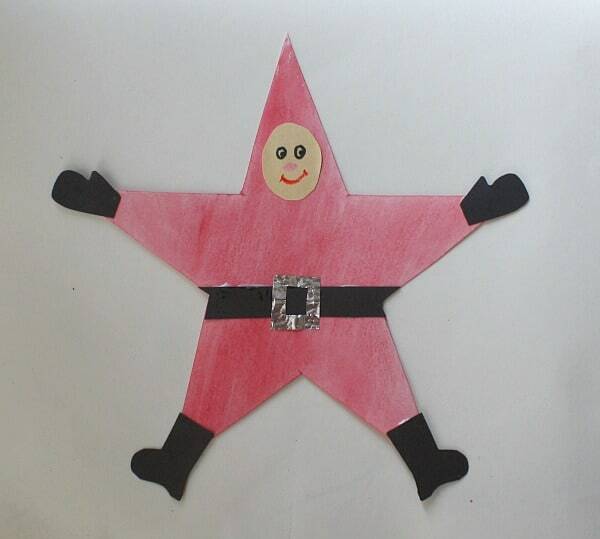 Print out the star template and cut out the star. 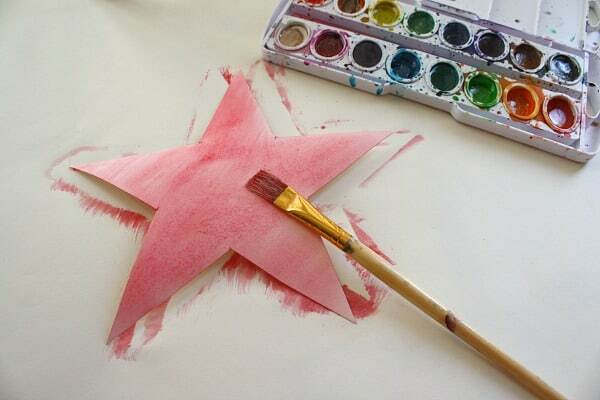 Use it to trace a star onto thick paper. I traced mine onto watercolor paper and then painted it with red watercolor. 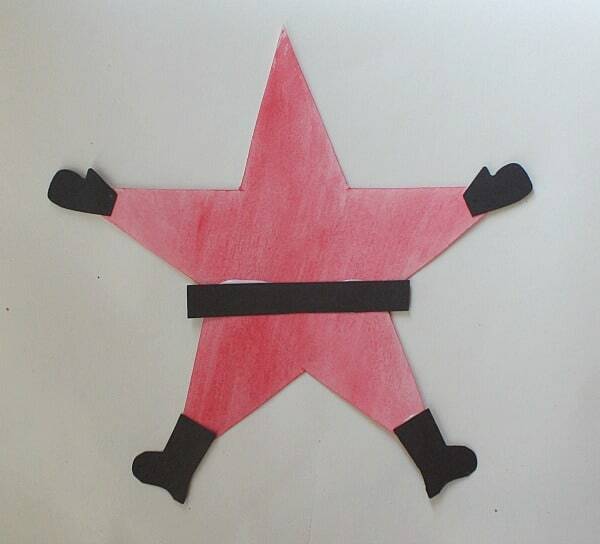 You could also just cut out your star from red construction paper. 2. Cut out some two black boots, two black mittens, and a black belt. Glue them onto your red star. 3. Trim off the black belt that’s hanging over the edge of your star. Cut out an oval face and draw on some eyes, a nose, and a mouth. Glue the face onto your star. Cut out a silver buckle from your aluminum foil and glue onto the black belt. 4. Take a cotton ball and stretch it out to make a beard. Glue it on to your Santa. 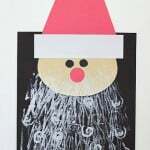 Use some more cotton or white pompoms to decorate the brim and top of the Santa hat. 5. 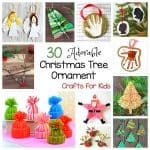 Punch a hole in the top of your star and tie some red ribbon or yarn through it to make a loop for hanging. 6. 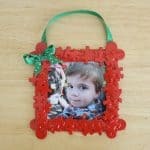 I always like to write my child’s name and year on the back of the ornament as a keepsake. 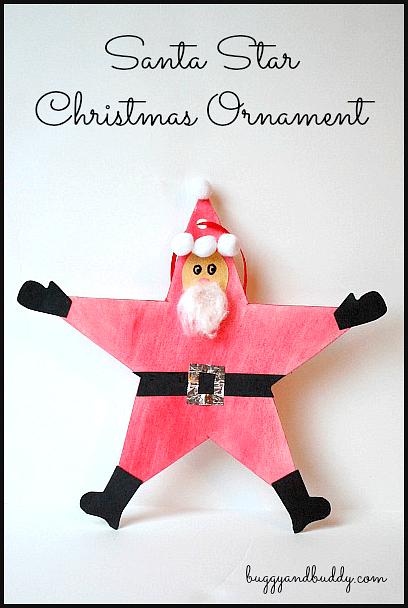 Hang the Santa star ornament on your tree! 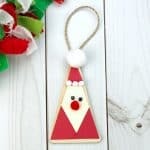 Love this cute and original craft! 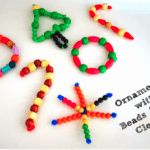 Thanks so much for linking up again. He is fantastic and I have pinned him. Thank you for sharing. 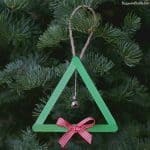 Love this ornament. I would love to feature it as part of my Share It Saturday round up that happens every 2/3 weeks.